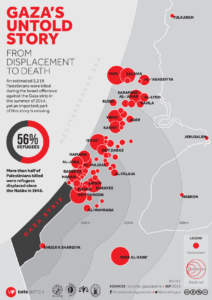 It would be impossible for Israel to steal land from the Palestinians if it was not militarily superior. That superiority is maintained by the aid budget from the USA and military trade with the West. That trade could not go ahead without the support of the banks. 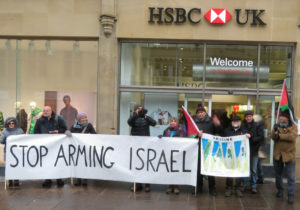 On Saturday we were on the streets to point out that HSBC profits from an arms trade that helps Israel steal Palestinian land. 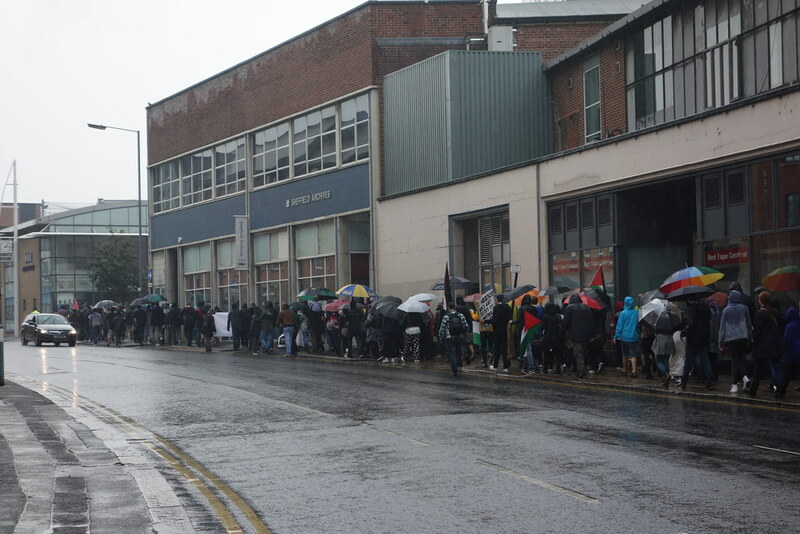 After the protest some of us went into the bank to complain to the manager that we had had no reply to three letters that we had previously delivered. 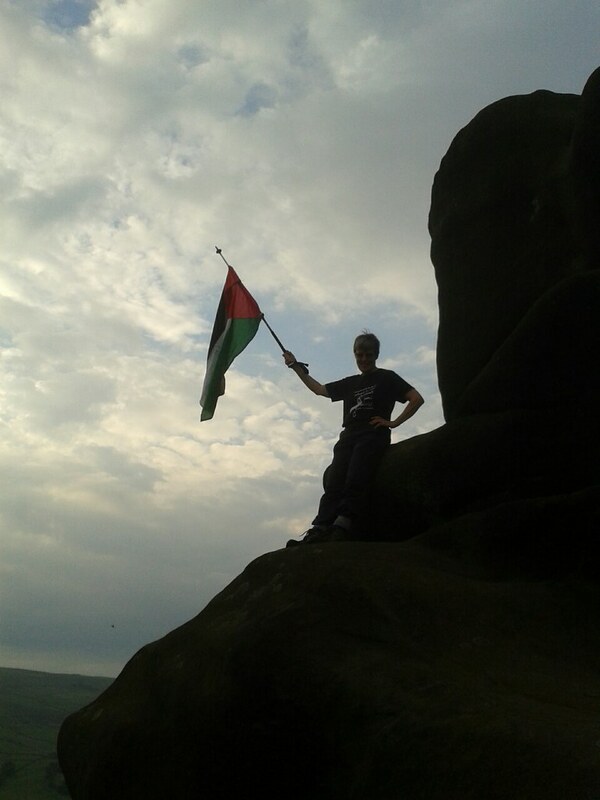 Ramzy Baroud is an activist and author of My father was a Freedom Fighter. 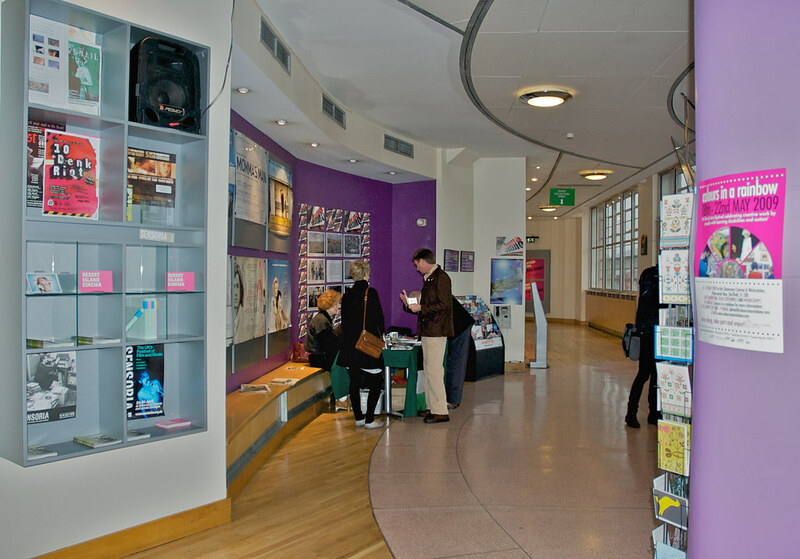 As well as public meetings we have smaller working groups. 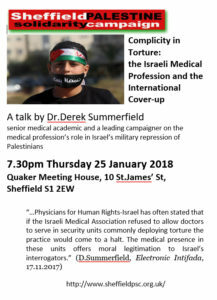 On Thursday 22 February 2018 at Friends Meeting House we had one such meeting. 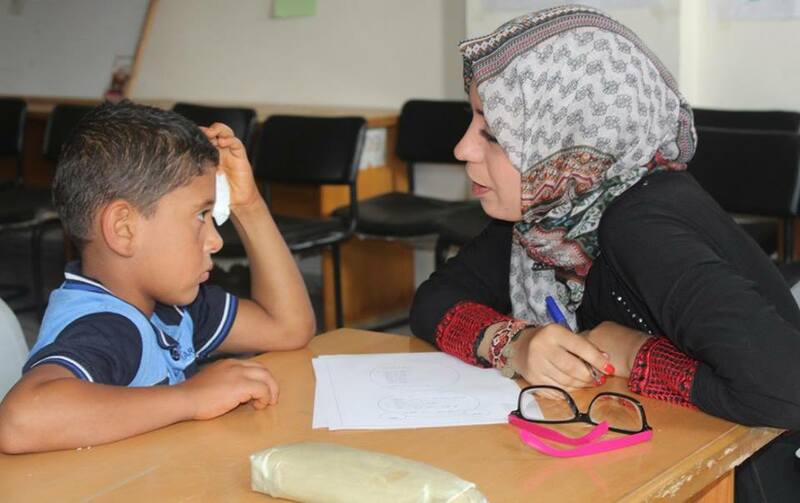 It was about the Khuza’a Healing Centre for children in Khuza’a. The more public part of the meeting was led off by Mona al-Farra who movingly described the work of Mecca, and Never Stop Dreaming. 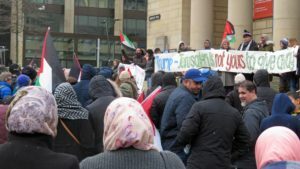 Sheffield PSC, in cooperation with women from the Yemeni Association in Sheffield are constructing a play and healing centre in Khuza’a, aimed at helping traumatised children in the area and beyond. 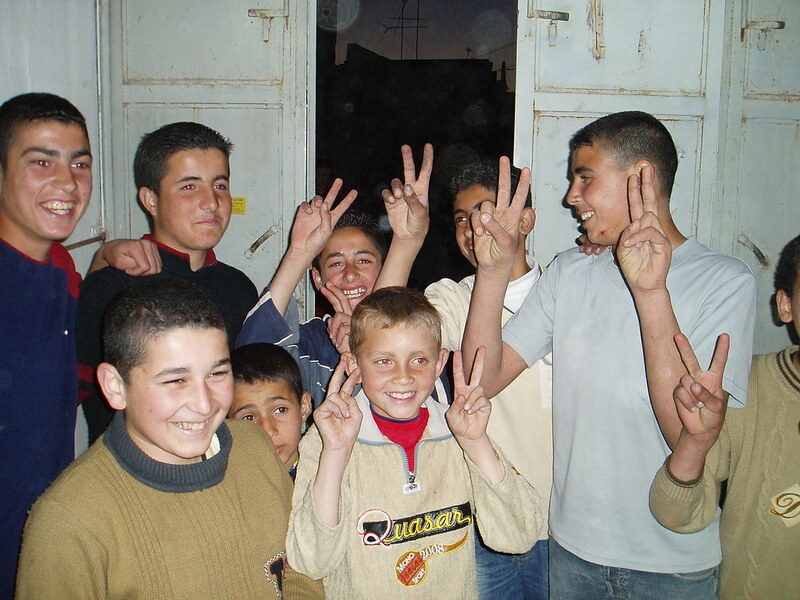 The project will be run by one of our partner children centres; Never Stop Dreaming in Khan Younis. 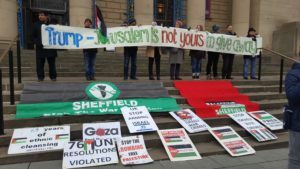 awareness of the need for the centre within the wider community of Sheffield and beyond and secondly to establish a steady stream of cash for the running of the centre. 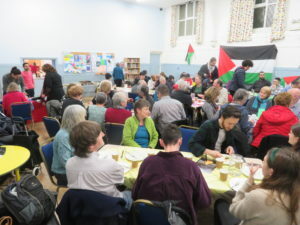 On Saturday10th February we had a successful fundraising meal at St Andrews Church Hall. 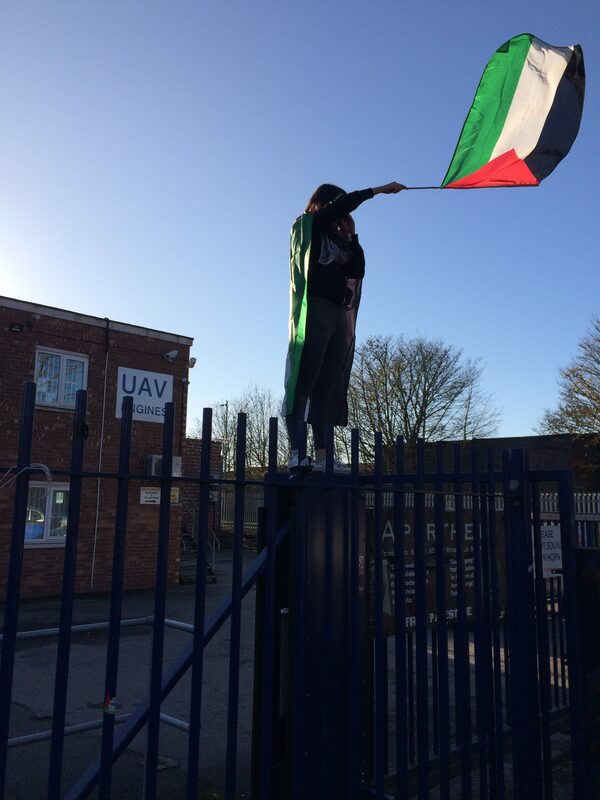 There was delicious home made Palestinian food and a talk from Majd Abu Shawish – a Palestinian student at Sheffield University who, if you remember from last year, was not able to join his course for three months because of Israeli collective Punishment of the people of the Gaza Strip . 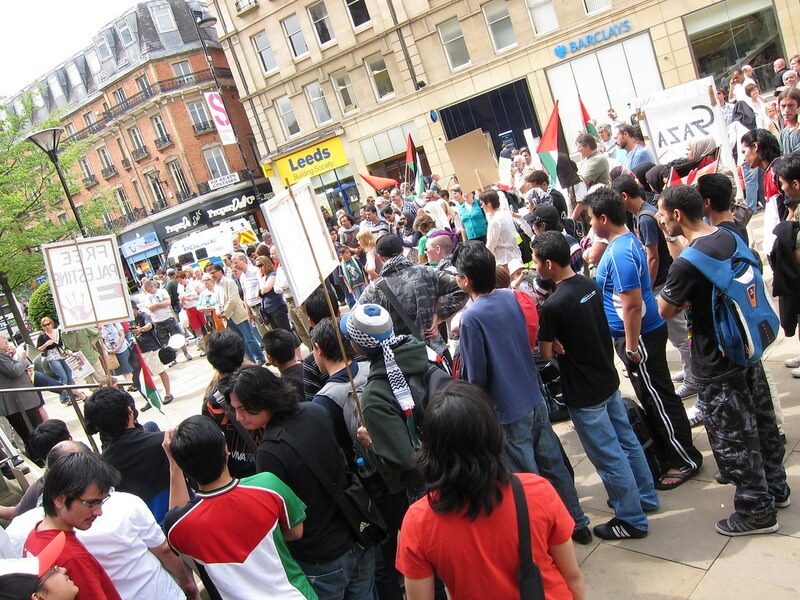 Each month we take our campaign for Justice for Palestinians to the streets of Sheffield. 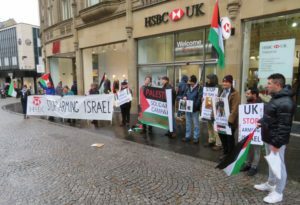 We pointed out that HSBC profits from Israeli Apartheid and via the arms trade helps Israel steal Palestinian land. 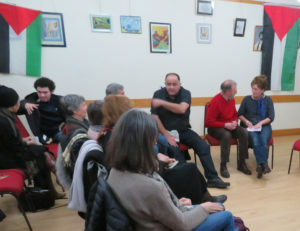 There is an important meeting on the mistreatment of Palestinian prisoners by Israel. 25th January 7.30 pm at the Friends Meeting house 10 StJames St.
On Saturday we held a protest against Trump’s support for Israeli land theft. 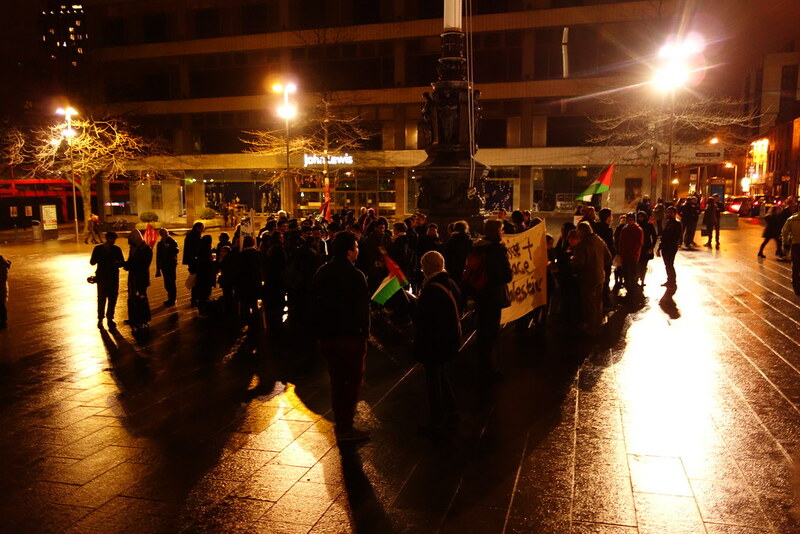 It was a good turnout given the very short notice. 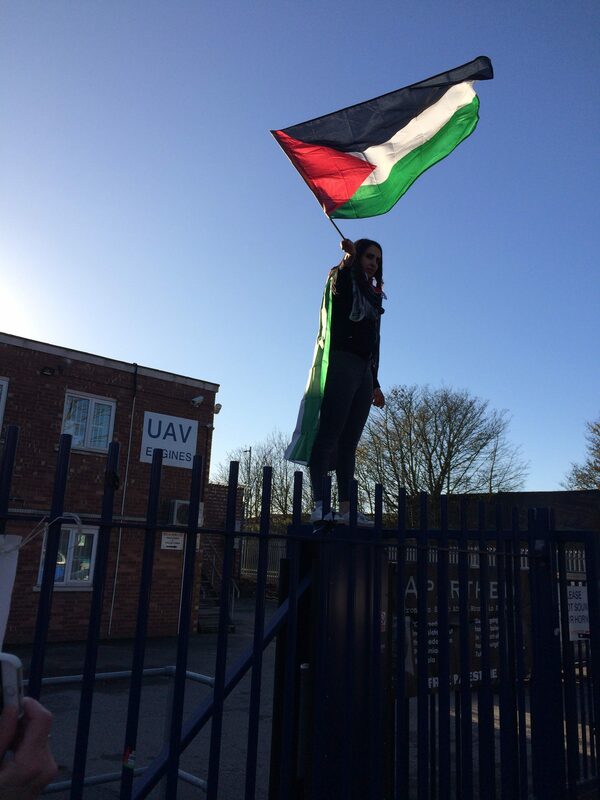 We need ordinary people to weave opposition to Israeli Apartheid into their everyday lives. 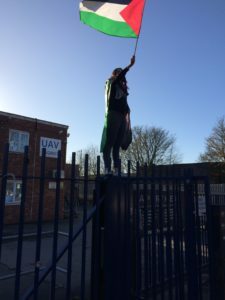 We organise meals, protests and meetings. Join us and find out how you can help.